Big Hotel is conveniently located in the popular Bugis area. Both business travelers and tourists can enjoy the hotel’s facilities and services. All the necessary facilities, including bar, shops, restaurant, laundry service, facilities for disabled guests, are at hand. Guestrooms are fitted with all the amenities you need for a good night’s sleep, including internet access – wireless (complimentary), telephone, shower, television LCD/plasma screen, in room safe. Entertain the hotel’s recreational facilities, including fitness center. 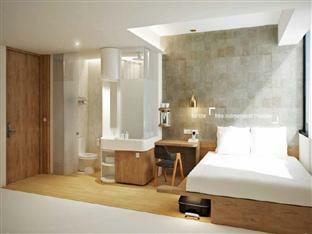 Convenience and comfort makes Big Hotel the perfect choice for your stay in Singapore.